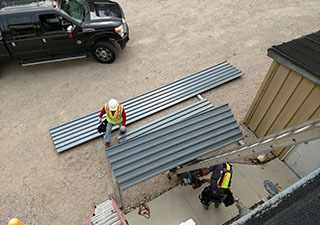 When you’re in need of a premium commercial roofing contractor, Empire Contractors has you covered with all types of commercial roofing services. We’re a company with over 20 years of industry experience that can customize roofing solutions to suit your specific roof, building, and budget. Clients in Muskegon, MI can reach us at (231) 578-4760 for a free onsite roof evaluation. Empire Contractors provides thorough roof inspections to clients across Michigan. We recommend every commercial building owner to schedule a couple of roof inspections per year. This will help keep repairs small, prevent water damage, and extend the life of your roof. After our professionally-trained roofing technicians have evaluated your roof, we’ll be able to recommend the appropriate services to fix its issues. 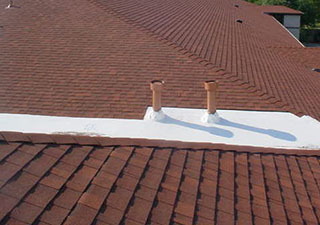 With over two decades of experience, the roofers at Empire Contractors have seen it all. We work on several types of commercial roofs and are known for finding the best solutions for our clients’ specific needs. Our roofers are fully licensed and insured which can give you some peace of mind when we are on the job site. Empire Contractors is an endorsed member of the Choice Roof Contractor Group. A company can only qualify for this honor through consistent customer satisfaction and craftsmanship of the highest quality. Members also receive factory training and information on how to provide clients with even better services. At Empire Contractors, we make sure that our clients are always in the loop. Our customer care is second to none as we communicate with clients to sort out the best roofing solutions for their roof and preferences. This can mean anything from a small repair to a roof replacement. We also offer customized maintenance plans and roof restoration services that can help extend the life of your roof and save you money. Empire Contractors is hands down the best option for clients in Muskegon, MI who are in need of a reliable commercial roofing contractor. Since the late 1990’s, Empire Contractors has earned the trust of local building owners. With top customer care and craftsmanship, you can’t go wrong when you hire us. For a free onsite estimate on any type of commercial roofing service, give us a call today at (231) 578-4760.